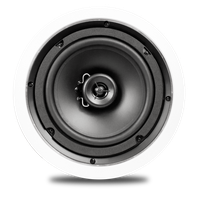 The CL-70v-6UL speaker is UL 1480 listed and meets the requirements of UL® 2043 for installation in air-handling spaces. It is engineered with wide dispersion, which is ideal for commercial applications such as restaurants, bars, stores, office buildings, hotels and classrooms. The CL-70 is designed with an industrial strength metal back can, which provides enhanced audio performance and component protection. The CL-70 also works with TruAudio’s B-70 tile bridge for drop ceilings and is humidity rated for covered outdoor venues. The finishing touch on this great speaker is our signature Ghost™-style grill! 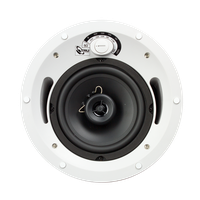 2-way, 70V/100V, in-ceiling, commercial speaker, 6.5" injected poly woofer, 3/4" PEI tweeter, 5-60 watts, 8Ω/70V/100V. Sold each.